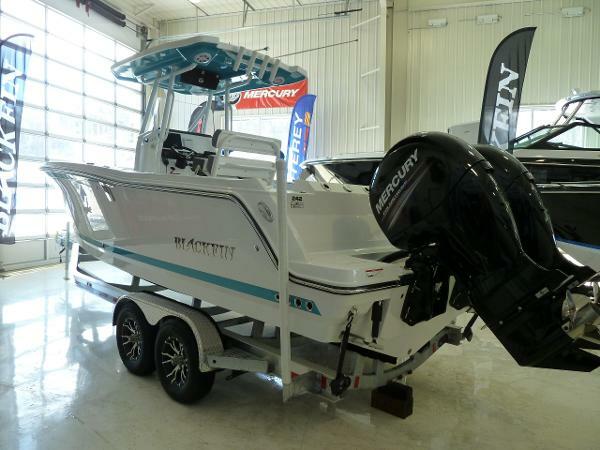 ONLY $953 PER MO O.A.C Boat is currently out Side but can be moved inside out heated showroom for you to view in comfort! 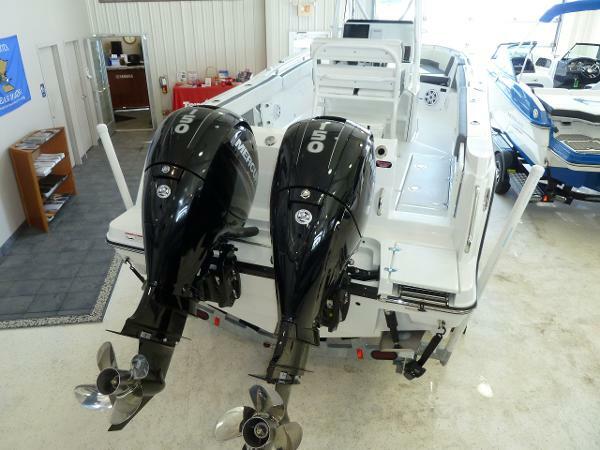 PRICED TO LOW TO ADVERTISE, PLEASE CALL OR STOP IN FOR BEST PRICE ON THIS 2019 Blackfin 242 CC with Twin 150 HP Mercurys & Trailer! 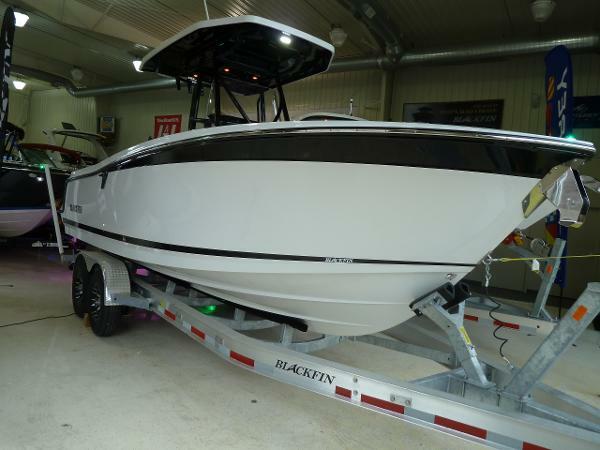 All NEW 2019 Blackfin 242 CC, an absolute must see if in the market for a 24 foot Center Council, this boats size will impress! This boat is deep, wide and heavy offering a smooth quiet ride that any Captain & Crew will enjoy! This boat is full of notable features, some that stand out include a Stainless Pull Up Cleats, Stainless Rub Rail, Stainless Cup Holders, Hard Top/White with Blue Underside to match boat, Windlass Anchor with Stainless Steel Anchor and Bow Roller Hardware, Live Well, Multiple Rod Holders, Bow Table, Raymarine GPS/Depth Finder, VHF Radio, Battery Charger, Forward Facing Bow Seating, Bow Filler Cushion & a Tandem Axle Trailer! This boat is powered by a Twin 150 HP Mercury 4 Strokes, offering a great balance between Performance and Fuel Efficiency! PAYMENTS AS LOW AS $953 PER MO O.A.C. 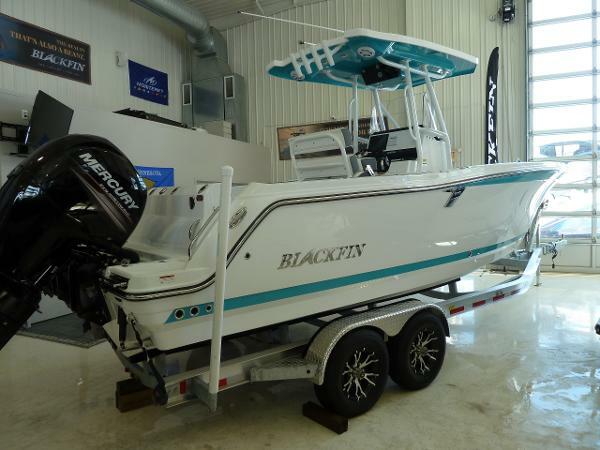 PRICED TO LOW TO ADVERTISE, PLEASE CALL OR STOP IN FOR BEST PRICE ON THIS 2019 Blackfin 242 CC with 350 HP Mercury Verado & Trailer! 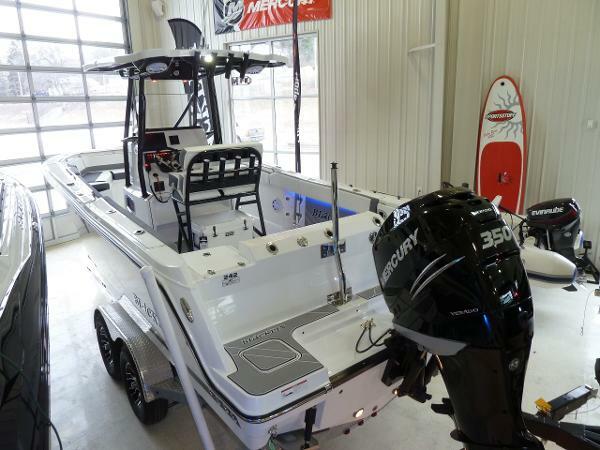 All NEW 2019 Blackfin 242 CC, an absolute must see if in the market for a 24 foot Center Council, this boats size will impress! This boat is deep, wide and heavy offering a smooth quiet ride that any Captain & Crew will enjoy! This boat is full of notable features, some that stand out include a Stainless Stainless Pull Up Cleats, Stainless Rub Rail, Stainless Cup Holders, Hard Top/With with Black Underside to match boat, Windlass Anchor with Stainless Steel Anchor and Bow Roller Hardware, Live Well, Multiple Rod Holders, Bow Table, Raymarine GPS/Depth Finder, VHF Radio, Battery Charger, Forward Facing Bow Seating, Bow Filler Cushion, Ski Pylon, Underwater Lights, Upgraded Stereo Package, Transom Shower & a Tandem Axle Trailer! 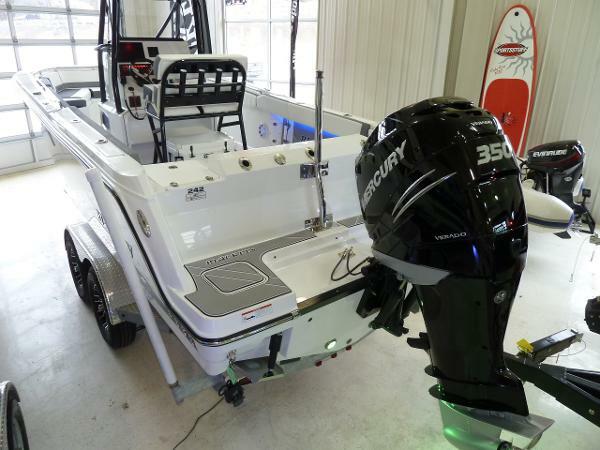 This boat is powered by a 350 HP Mercury Verado, offering a great balance between Performance and Fuel Efficiency!